If you have a missing tooth or several missing teeth, dental crowns and dental bridges may be the dental treatment solutions you are looking for. However, if you’ve never had either of these treatments before, you might not know what exactly dental bridges and crowns are. A dental crown is a protective cap that our team can use in a number of different ways. If a tooth has had a procedure such as a root canal, our team can use a dental crown to provide the extra protection that tooth needs. 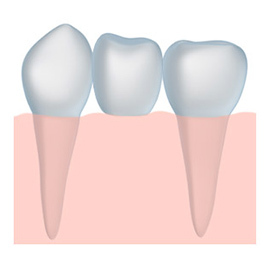 We can also use dental crowns to improve the appearance of teeth and to act as the anchor points for a dental bridge. At Sweetwater Dental in Rock Springs, our dental crowns are made using CEREC, which allows us to custom create high-quality dental crowns quickly and effectively all from the convenience of our Rock Springs dental office. This means that if you need a dental crown, you can have one in as little as just one treatment. A dental bridge is a type of dental technology used to replace one or more teeth and acts to bridge the gap between the remaining teeth on either side. In most cases, dental bridges work in conjunction with dental crowns and are anchored safe and secure on either side with them. Dental bridges from Sweetwater Dental are custom-made for each patient that requests them, and are designed to look like natural teeth, and function great too. A dental bridge can be made to be a removable bridge, or a fixed one depending upon the preference of the patient, and our team will do their very best to explain your options so that you can make an informed and educated decision. At Sweetwater Dental in Rock Springs, we offer attractive and functional dental bridges and crowns designed with our patients in mind. 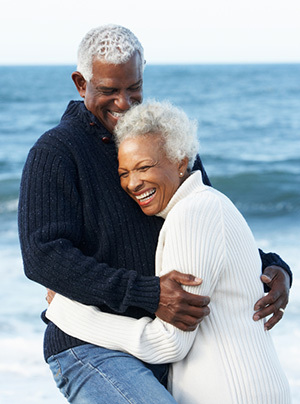 Have more questions for us about dental bridges, dental crowns, or any of our other services? Contact us today!